Meet Sima Qian. I regard him highly. One could say that he was a historian with balls. Siam Qian is sometimes called the “Herodotus of the East.” It’s a fair title. Herodotus is one of two men who can claim to have invented history. Sima Qian is the other. This is a rare feat. It was accomplished in exactly two places. Herodotus did it in Greece; Sima Qian did it in China. Of the other great civilizations—the Mesoamericans, the Egyptians, Sumerians, and their descendants, the Andean kingdoms, the early rulers of the Eurasian steppe, the great empires that sprouted up along the Indus and Ganges rivers, along with their cultural satellites across South and Southeast Asia—history is nowhere to be found. I remember my shock when I discovered our knowledge of ancient India relies more on ancient Greek historians than ancient Indian historians. Traditional Indic civilization simply did not have any. In ancient India, playwrights, poets, lyricists, grammarians, philosophers, story-tellers, mathematicians, military strategists, religious authorities, and religious upstarts all put pen to palm frond, leaving a treasury of Sanskrit literature for the future. This literature is sophisticated. It is meaningful. Even in translation, much of it is beautiful. But search as you may, nowhere in this vast treasury will you ever find a work of history. That a great thinker could profitably spend his time sorting through evidence, trying to tie together cause and effect, distinguishing truth from legend, then present what is found in a written historical narrative—it is an idea that seems to have never occurred to anyone on the entire subcontinent. Only in Greece and in China did this notion catch hold. The work of every historian who ever lived finds its genesis in one of these two places—and with one of these two people. Sima Qian is not just celebrated for the idea of history. He was also a wonderfully gifted historian. His skill exceeds Herodotus, that dispenser of legends and collector of hoary wives’ tales, and is matched by only a few greats in the West. Polybius. Tacitus. And of course, Thucydides. “Events did not unfold as I had planned. I committed an egregious error. Li Ling [a general who had just been defeated in battle and surrendered to the enemy Xiongnu] and I were both officials in the palace, but we had had no opportunity to become friends. Our duties kept us busy in different offices and we had never so much as sipped a cup of wine together or enjoyed the slightest pleasure of friendship. But I observed that he conducted himself with extraordinary self-possession. He was filial towards his parents, trustworthy with his colleagues, scrupulously honest in matters of finance, upright in exchanges with others, deferential in matters of precedence, respectful, modest, and humble. His thoughts were always animated by selfless devotion to the needs of his country—this was his way, and I saw in him the very image of a statesman. A subject who dashes to the public’s aid, risking ten thousand deaths without thought of his life as he rushes to his country’s defense, such a man rises far above the ordinary. And so when, because of a single indiscretion, courtiers whose sole concern had been preserving themselves whole and protecting their wives and children seized on his mistake to brew disfavor against him, I felt pain for him in my innermost heart…..
it happened that I was summoned to give an opinion, and in just this way I spoke of Li Ling’s merits. My hope was to broaden my ruler’s perspective and block the words of jealous-eyed courtiers. But I was myself insufficiently clear and the emperor could not perceive my sense… and believing that I was speaking as a partisan of Li Ling he had me sent down for prosecution. Not all my earnest loyalty could justify myself to my inquisitors. I was convicted of attempting to delude my ruler and the sentence received imperial approval. ….In surrendering alive Li Ling destroyed the reputation of his family. When I followed by submitting to the “silkworm chamber ” I became a second laughingstock. Oh, such shame! This is not something I could ever bring myself to recount to an ordinary person.… A man dies only once. His death may be a matter weighty as Mount Tai or light as a feather. It all depends on the reason for which he dies. The best of men die to avoid disgrace to their forbears; the next best to avoid disgrace to their persons; the next to avoid disgrace to their dignity; the next to avoid disgrace to their word. And then there are those who suffer the disgrace of being put in fetters; worse yet those disgraced by the prisoner’s suit; worse yet those in shackles; worse yet those who are flogged; worse yet those who with shaven heads and iron chains around their necks; worse yet those who suffer amputations and mutilations. But the very worst disgrace of all is castration. (From Sima Qian’s Letter to Ren An, trans. by Burton Watson). To restate Sima Qian’s experience in less emotional terms: because he was principled enough to contradict the emperor in the presence of his court, Sima Qian was sentenced to castration. This was a death sentence—any self-respecting man of his day would commit suicide before submitting to the procedure. Everyone expected Sima Qian to do so. But in the end Sima Qian decided to accept the punishment and live the rest of his life in shame, because if he did not he would never finish the history he had started. Not every historian has the balls to a challenge despot face-to-face. For despotic Wudi was—the castration of Sima Qian was hardly the most despotic thing Wudi would do before his reign ended. It is but one episode in a string of terrors, one paint-stroke in a portrait of tyranny. But who painted the portrait? None other than the grand historian Sima Qian. We remember Wudi as Sima Qian chose to depict him. Had Wudi realized the influence his court astronomer would have on future generations, he might have treated him differently. But Wudi realized none of this. Sima Qian was punished brutally and embarrassed publicly. He was a loser. But in the end, the loser got his revenge. We say that history is written by the winners. That is sometimes true. We have no Carthaginian accounts of their war with Rome; few historians today have much sympathy for Hitler. But the thread that seems to connect many of the great histories of the pre-modern world is that they were written by the losers. In his roundtable post, “Treason Makes the Historian,” Lynn Rees lists a few of the type. Herodotus wrote his history only after his exile from Halicarnassus; Xenophon wrote his memoirs only after his faction was forced out of Athens. Polybius was once a general for the Archean League, but wrote his history as a hostage at Rome. The destruction of Judea was chronicled by a Josephus, a Jew. These men abandoned their countries and people for the victors of the future. But Quislingdom was not the only losing path to historical fame. Tacitus’s loyalty to Rome never wavered—but neither did his identification with Rome’s Senatorial class, a group whose power was slowly stripped away as Tacitus wrote his chronicles. 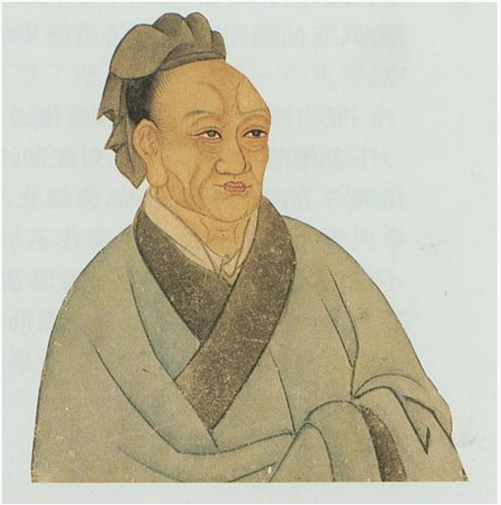 Sima Guang, the second most significant historian of Chinese history, only finished his massive Zizhi Tongjian after court rivalries had forced him to retire. The history of the Mongols was written almost entirely by their vanquished enemies. Ibn Khaldun was associated with so many failed regimes that it is a wonder he found time to write his history at all. The passage of Brasidas was a complete surprise to the people in the town; and the capture of many of those outside, and the flight of the rest within the wall, combined to produce great confusion among the citizens; especially as they did not trust one another…. Meanwhile the party opposed to the traitors proved numerous enough to prevent the gates being immediately thrown open, and in concert with Eucles, the general, who had come from Athens to defend the place, sent to the other commander in Thrace, Thucydides, son of Olorus, the author of this history, who was at the isle of Thasos, a Parian colony, half a day’s sail from Amphipolis, to tell him to come to their relief. On receipt of this message he at once set sail with seven ships which he had with him, in order, if possible, to reach Amphipolis in time to prevent its capitulation, or in any case to save Eion (4.103). Now pieces of Thucydides work start to click together. Few Spartans are mentioned by name; fewer still are Spartans mentioned by names on multiple occasions. The exception is Brasidas. Brasidas, brave defender of Methone, and thus “the first man in this war to receive the official honors of Sparta” (2.25). Brasidas, whose stratagems almost defeated the Athenians at sea (2.86-87). Brasidas, the daring leading who almost stormed the fort at Pylos (4.12). Brasidas, the savior of Megara (4.70-73). Brasidas, the only Spartan eloquent and wise enough to raise all of Thessaly into revolt (4.84). Brasidas, the general who defeated Thucydides. Thucydides’ obsession with Brasidas is easy to understand once his personal relation to Thucydides is made clear. His portrayal of Brasidas as daring, brilliant, charismatic, and clever beyond measure also begins to make sense—the greater Brasidas’ past feats appear, the less damning Thucydides defeat at his hands becomes. Thucydides treatment of Brasidas is hardly unique. You can play this game with many other aspects of Thucydides’ History, from his attitude towards Athenian democracy (which voted for his exile) to his unflattering portrayal of Cleon (who replaced him). Thucydides lost battles with them all. The History of the Peloponnesian War was written by a loser. Why have so many great histories been written by the losers? These men probably didn’t see themselves following in Vidkun’s bloody footsteps. They remained loyal to a political community of their birth, just not the flesh and blood political community of their birth. They pledged allegiance to a nation in being that remained moored just over the horizon in the Scapa Flow of their imaginations, waiting for Der Tag of political change. This works for the Quisling historians well enough, but it does not explain the plain sore losers like Sima Qian. I’ll suggest something simpler. Defeat gives brilliant minds like Thucydides the two things they need to become great historians: time and motive. Those who rule do not have the time to write about it. Occasionally history produces a Caesar or a Mao, men who can lead the masses to war on the one hand, while serving as prolific propagandists for their cause on the other. The greater part mankind is not so talented. Sima Guang would never have finished his history had he not been shunted out of Song court politics. Had Thucydides defeated Brasidas, he would be known today not as a historian, but as a military strategist, a strategist who never had the time to travel the world and collect the material needed to write his history. Even winning historians need time in defeat to write their histories—had Churchill’s party not been kicked out of power by British voters after the Second World War was over, Churchill’s famous account of that war would never have been written. When high position is stolen from you, and access to the heights of wealth and power denied, there is little one can do about it—except write. History is thus rarely a “weapon of the weak.” The judgments of the historian do not serve the margins. They do not even serve the masses. They are a weapon in the hand of defeated elites, the voices of men and women who could be in power, but are not. What was true in Thucydides day is true in our own. The simplest explanation for modern academics’ hostility to 21st century capitalism’s “structures of power” is their complete exclusion from them. This is the motive of defeat. Intelligent enough to rule, but missing the wealth and position needed to lead, the historian continues the fight in the only domain that he or she can: the page. Here the historian wields absolute power. Given enough time, that power might bleed off the page and into reality. Those who know Cleon’s name remember him as terrible; those who recognize the name Brasidas think immediately of daring brilliance. I am sure nothing would have made Thucydides happier. As he wished they would be, this loser’s scathing judgments have lasted as a “possession for all time”. I cannot be the only reader to have been fascinated by the career of Demosthenes, the Athenian commander. (3.94-98) His attack on Aetolia, undertaken as the beginning of an ambitious campaign (projected, apparently only by Demosthenes, to pass through Boeotia), ends in disaster. The narrative supplies enough details for us to ponder the flaws in the general’s decision-making. (3.102) His move to save Naupactus with troops he wheedles from allies whom he previously snubbed is all the more impressive because at this point Demosthenes has few resources — his generalship may have ended, and he is in such disfavor that it would be personally dangerous for him to return to Athens. 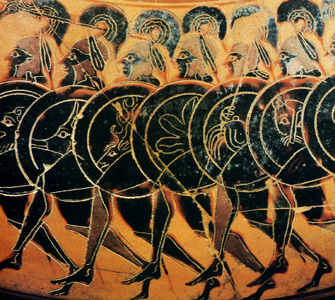 (3.105) Allies ask him to lead them in the West when the Peloponnesian army that he stymied at Naupactus keeps marching. (3.107) An ambush on the battlefield brings him victory at Olpae. (3.109) He craftily separates the Peloponnesians from their local allies. (3.112) He wins a massive victory at Idomene by positioning his troops stealthily during the night and launching a pre-dawn surprise attack in which the enemy’s sentries are confused by Demosthenes’ use of allied troops whose dialect resembles the enemy’s. (4.2) Demosthenes finagles himself an unofficial berth on a fleet rounding the Peloponnesus to relieve Corcyra. (4.3-5) He has a plan: make an unscheduled stop and create an outpost at Pylos, in the Messenian country where the Spartans fear revolt. The generals in charge of the fleet laugh at him. Grossly insubordinate, he appeals to the soldiers and the junior officers. No one will listen. Then a storm drives the fleet into shelter at Pylos. They still won’t listen to him. But as the weather keeps them trapped in harbor, the soldiers get bored and decide to build Demosthenes his outpost. (Did it really happen like that? One wonders.) But he has neglected to bring any tools, so they must pile rocks to create walls in the most primitive manner. The weather improves; the fleet sails on, leaving a very small force with Demosthenes in his vulnerable outpost. (4.6) The Spartans are so alarmed by this tiny threat to their rear that they recall the army that has been laying waste the country around Athens. (4.8) Then they come in ships to wipe him out. (4.9-12) Having figured out where they will attack, he repels them from the beach in an epic action where one Brasidas, who will go on to do more harm to Athens than perhaps any other Spartan, is almost killed. (4.13-14) The Athenian navy arrives in the nick of time. The Athenians discover they have trapped hundreds of the Spartan elite on a desert island next to Pylos: a most valuable bargaining chip. (4.21-22) Overreaching as they often do in this Greek tragedy, the Athenians (instigated by the detestable Cleon) spurn the offer. (4.26-38) The blockade of the island proves long and difficult. The Athenians blame Cleon and, calling his bluff, send him to sort it out in the expectation that he will humiliate himself. Thanks to Demosthenes, who is mindful (Thucydides explicitly says) not to repeat a mistake he made in Aetolia, the Spartiates are defeated by Demosthenes’ use of stand-off missiles and a surprise attack from the rear. They surrender. (4.66-73) Demosthenes and Hippocrates undertake a complex scheme to seize control of Megara with the help of traitors within the city. Again he carries out one of his signature night-time ambushes. But the Athenians are only partly successful, and soon find themselves confronted by the decisive and resolute Brasidas. They give up on Megara without a battle. (4.89-100) A Boeotian campaign is entrusted to the same two generals. It fails disastrously, with Hippocrates getting killed and his division bearing the brunt of the losses. Thucydides is unclear about the details, but it seems that Demosthenes may have made an error of timing, as a result of which two separate surprise attacks that needed to be synchronized . . . weren’t. It also seems that the enemy caught wind of their plans. (4.101) Demosthenes undertakes a raid against a coastal city west of Corinth. He fails to take the adversary by surprise and his troops are routed. (5.80) Demosthenes is sent to evacuate a fort among allies of uncertain loyalty; he employs a ruse to accomplish this safely. (7.42) Demosthenes arrives in Syracuse to salvage the faltering Sicilian expedition. (7.43-44) He hastens to mount a large-scale night-time surprise attack on Epipolae. Historians judge this to be a first, indeed wholly original: a large-scale nyktomachia, a night battle. It miscarries due to poor intelligence, poor communication, and the inherent riskiness of such an action in the absence of radios or night-vision goggles. Athenian losses are in the thousands, and morale is shattered. (7.47-49) Having gambled and lost, Demosthenes votes to go home or at least move camp, but Nicias, the general on the scene whom he had criticized, refuses and prevails in council. (7.72) After a devastating naval defeat, Demosthenes recognizes that the Athenians’ best way out is still by sea, but the demoralized soldiers won’t listen to him. They choose, fatally, to make their way overland to another part of the island. (7.81) Marching “somewhat slowly and in disorder,” his division is surrounded by the Syracusans. According to Plutarch, Demosthenes attempts suicide. Soon the rest of the Athenian army will also be captured. As I struggled to draw conclusions from this extraordinary tale, I realized that I needed help, and I wondered if anyone had written a book about Demosthenes. The New York Public Library was kind enough to fetch from its offsite storage a 1993 monograph  by Joseph Roisman. It is a work of marvelous scholarship, free from pedantry and full of carefully-reasoned judgments. Roisman notes that Demosthenes seems to have been always attracted to surprise tactics without realizing how heavily such tactics depend on good intelligence. Moreover, the surprise attack works best on a small scale. On a large scale, the friction of big organizations is wont to spoil the surprise or to impede the necessary coordination, and operational security is also harder to maintain when large numbers of people are involved. This was especially true in the ancient world with its limited technologies of communication. Roisman notes in the general “an inclination to embrace ambitious goals combined with a willingness to give up when the campaigns failed to produce their projected results immediately.” You can see this in the backing down from Megara as well as his eagerness to stake everything on a single roll of the dice at Epipolae: a tendency, in Roisman’s words, “to approach military problems in terms of immediate and decisive success or failure.” I will not spell out the obvious lessons; Parts II and III of Demosthenes’ career do that quite well. The nuanced intuition in Roisman’s analysis makes me wonder whether this alumnus of Tel Aviv University may have gained a certain Fingerspitzengefühl from a stint in the IDF. He has done other work on ancient military history, with a particular focus on Alexander the Great. I look forward to exploring that oeuvre; in the meanwhile, if you can get your hands on it, I recommend his Demosthenes monograph very highly.